Garmin has some cool activity tracking wearable in the Fenix 3 series, but it just unveiled the definitive model – Fenix Chronos. Garmin’s high-end wearable that offers ‘a full multi-sport and navigational toolset,’ if you’re willing to pay big bucks. 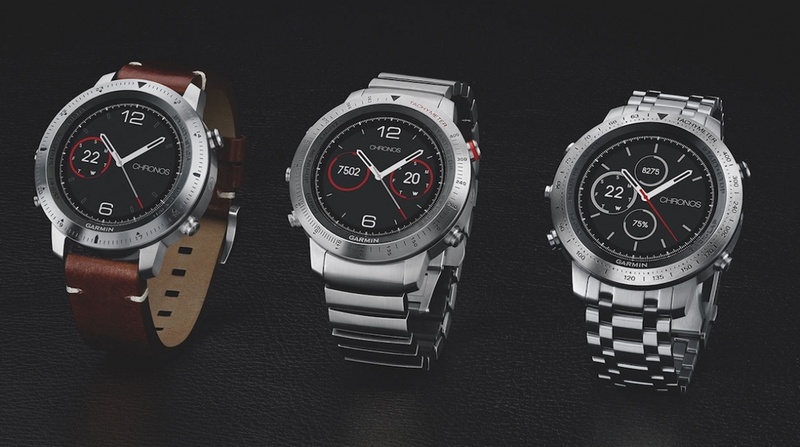 The Fenix Chronos comes in three flavours. Titanium with the brushed titanium band (most expensive, obviously), steel with the brushed stainless steel band (the middle one) and steel with the vintage leather band (cheapest but not cheap). The Fenix Chronos uses Garmin’s Chroma display, 1.2-inch big. The new model also houses Garmin’s Elevate technology for heart rate tracking on your wrist. It has the readability of classic black-and-white LCDs, but this one can render color too. The screen is also protected by a domed sapphire glass. There are a number of features which set the watch apart from other sports watches. First of all, unlike some devices, the Garmin Fenix Chronos comes out with GPS, which could be an important feature for those looking for a device to help them in hiking or running situations. The device also enables Garmin’s Connect IQ compatibility, and can connect to the Garmin Connect app. Like other smartwatches, the Fenix Chronos can also show notifications like calls, texts, and so on. The sensors in the watch include an altimeter, compass, and barometer, and Garmin claims the device has up to 25 hours of battery power in ‘UltraTrac’ battery saving mode, and as much as a full week in ‘smart watch mode,’ depending on the settings. The Fenix Chronos with titanium band is $1,499.99; the stainless steel band is $1,099.99 and the leather strapped variant costs $999.99.